The conference will take place mainly in the Euler International Mathematical Institute (EIMI) (which is a part of the PDMI, or POMI, since 1996). However, some events may take place in the main PDMI building (see notes in the program). The EIMI address: Pesochnaya naberezhnaya (embankment), 10. A picture of the EIMI is available at http://www.pdmi.ras.ru/EIMI/imiaddr.html. The place is near the river Malaya Nevka, at equal distance (15-20 min. of walk) from the metro stations "Petrogradskaya" and "Chernaya Rechka". To reach EIMI from metro "Petrogradskaya", one can take bus No. 1 or No. 46, trolley-bus No. 34 (the second stop), or minibus No. 46, 76, 175, 252, 298 (you should ask to stop before the Kamennoostrovskii most (bridge)). See the mark "X" on the map at http://www.pdmi.ras.ru/EIMI/pictures/map.jpg. The PDMI address: Fontanka naberezhnaya, 27. Find the red mark "27" on the map at http://www.pdmi.ras.ru/pictures/pomi.jpg. The place is at the cross of Nevsky avenue and the Fontanka river, at equal distance (10-15 min. of walk) from the metro stations "Nevsky prospekt"/"Gostinyi dvor" and "Ploschad Vosstaniya"/"Mayakovskaya". Look at our metro scheme at http://www.pdmi.ras.ru/EIMI/pictures/metro.gif. For the participants of the conference who asked for the hotel in the registration form, rooms have been reserved at the hotel NORD, at the hotel SOVTOURS, and at the hotel NAUKA. Address: 1-aya Berezovaya alleya, 6. Please give the details of your arrival (company, flight, scheduled time, etc.) to vershik70@pdmi.ras.ru so that we could arrange a car from the Euler Institute to pick you up at the "Pulkovo" international airport. (Look for the poster "Euler International Mathematical Institute"). PLEASE NOTE THAT THIS SERVICE CANNOT BE ARRANGED UNLESS YOU GIVE THE DETAILS OF YOUR ARRIVAL BEFORE JUNE 5. Alternatively, you may take bus no. 13 at the "Pulkovo" international terminal, or a city bus no. 39 at the domestic terminal, that will bring you to the metro station "Moskovskaya" (15 min.). It takes then about 30 minutes to reach the stations "Petrogradskaya" or "Chernaya Rechka" (by a direct train). From both stations you can take buses no. 1 or 46 or trolley-bus no.34 that go to Pesochnaya Naberezhnaya and to the hotel Nord (two stops), or minibuses no. 46, 76, 110(98), 136, 175, 252, 298, and 321. (you should ask to stop before the Kamennoostrovskii most(bridge)). CIS-participants who come by train may easily use metro. All railway stations have a nearby metro station. Registration desk will be open at the Euler Institute on June 7 from 17:00 till 20:00 and on June 8 from 9:30. The conference will open at 11:00 on June 8. The participants who plan to arrive later may register during the breaks. The registration fee (150 euros per participant) should be paid at the registration desk in cash. For the participants from the CIS countries, the fee is covered by the organizing committee. If the Euler Institute has provided authorized invitation letters for accompanying persons, an additional fee of 20 euros per person should be paid; in all other cases there is no fee for accompanying persons. Lunch (at about 13:00) will be served for the participants at the canteen of the "Statistical Office" (a building at a walking distance from the Euler Institute, please find the mark "Z" on the map at http://www.pdmi.ras.ru/EIMI/pictures/map.jpg ). Coffee and tea will be available at the Euler Institute. There will be, presumably, four 45-minutes lectures from 9:30 till 13:00 in the morning, and several 30-minutes talks from 14:30 to 18:00 in the afternoon. The program will be sent in the nearest future. Euros and US dollars are exchanged by all the exchange offices; however, other currencies may cause some difficulties (bad rate or no bank to exchange). Now the average rate is 34.80 RBL for 1 Euro and 29.00 RBL for 1 USD. Personal and Traveller's checks, as well as credit cards, are usually accepted at all major banks in the city. Throughout the city, there are many ATMs where you can use your credit or debit VISA/Master cards with PIN to withdraw cash. Usually VISA and MASTER cards are accepted in the restaurants and big shops. Be sure TO AVOID exchanging your currency NEAR exchange offices. In metro one should either buy tokens (8 roubles for one journey in metro with unlimited number of changes and unlimited time) or with magnetic cards for multiple (from 3 to 60) journeys. In municipal buses (numbers without letters T or K), trams and trolley-buses one pays to a conductor. One ticket costs 7 roubles. In commercial buses (marked by letters T or K) one also pays to a conductor, while in minibuses one should pay to a driver. The price is usually indicated at the entrance. Please be very careful with your luggage, bags, purses, credit cards, etc., especially in the transport and in the shops! There are public phones in the streets, near and inside metro stations. You can pay either by metro tokens, or coins, or phone cards (it depends on the phone). Phone cards are available at metro stations. The weather is variable. Average temperature of June is about 15 C (i.e., about 20 C in the day-time). It may be rainy. Fax number: +7 812 234 5819 (can be used to get the fax messages). E-mail: guest@imi.ras.ru can be used to get and send messages; you can ask for your own account for the period of the conference. 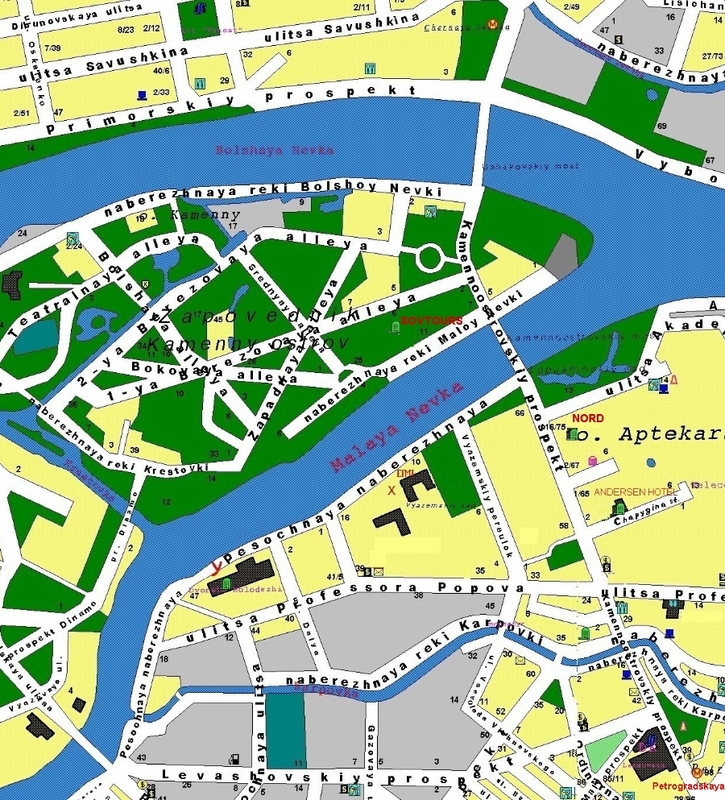 You can look at our web-page: http://www.pdmi.ras.ru/EIMI to get the map of St. Petersburg and other useful information. In case of any further questions please do not hesitate to ask the organizers.